There is a recall of Britax B-Agile, B-Agile Double and BOB Motion Strollers because the hinge on the stroller’s folding mechanism can partially amputate consumers’ fingertips, break their fingers, or cause severe lacerations, among other injuries, when they press the release button while pulling on the release strap. The single and double strollers were sold in various color schemes, including black, red, kiwi, sandstone, navy and orange. 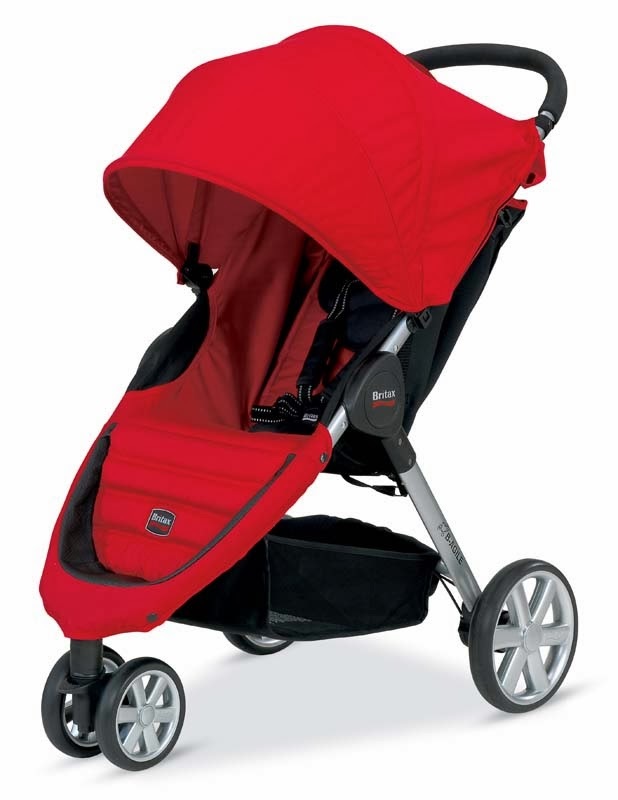 They were manufactured between March 2011 and June 2013 and have the following model numbers: U341763, U341764, U341782 and U341783 for the B-Agile strollers; U361818 or U361819 for the B-Agile Double strollers; and U391820, U391821 and U391822 for the BOB Motion strollers. The model number and the manufacture date in YYYY/MM/DD format can be found on label located on the inside of the stroller’s metal frame near the right rear wheel. Consumers should stop using the recalled strollers immediately and contact Britax to receive a free repair kit. Contact Britax toll-free at (866) 204-1665 from 8:30 a.m. to 6:00 p.m. ET Monday through Thursday and 8:30 a.m. to 5:00 p.m. Friday, visit the company’s websites at www.britaxusa.com or www.bobgear.com and click on “Safety Notice” at the top right corner or on “Learn More” at the bottom center of the page, or e-mail strollerrecall@britax.com for more information. Major retailers and juvenile products stores nationwide, and online at Amazon.com, albeebaby.com, buybuybaby.com, diapers.com, ToysRUs.com and other online retailers from May 2011 through June 2013 for between $250 and $450. « iPads and Kids: Helpful or Hurtful?